The SRUGO Thoro Blender is a simple inverted double cone used for the intimate blending of dry powders granules and crystals. it's easy to clean and available in a wide range of specifications. The SRUGO Twin Blender is a double cylinder, shaped as the letter 'Y' or 'V'. Like the Thoro, the SRUGO Twin Blender is ideal for intimate blending of free flowing dry powders. The SRUGO Thoro and Twin Blenders can be supplied with the following accessories: internal choppers, vacuum/drying execution, special spray unit, special safety fence, etc. They are both widely used in a broad range of industries including pharmaceutics, foods, chemicals, metalurgics, cosmetics and others. 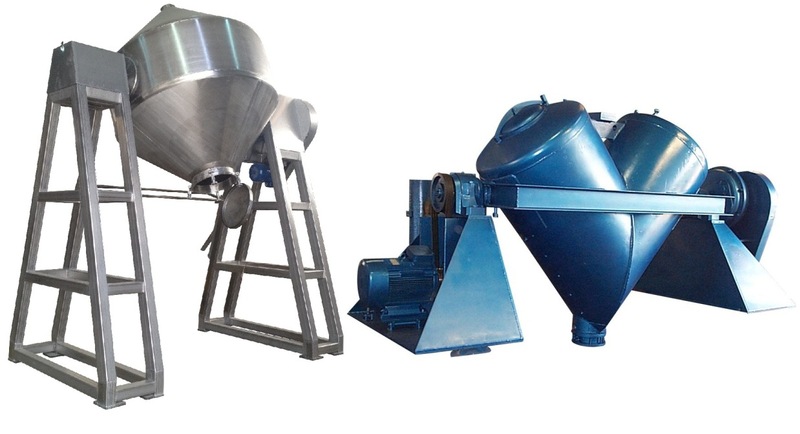 Standard sizes of the SRUGO Thoro an Twin Blenders range from 3 to 5,000 liters and are available in larger sizes.